This class can be used to generate random texts for using as passwords. It can generate a random text of a given length which may contain either lower or upper case letters, numbers or symbols. class.chip_password_generator.php Class Chip Password Generator class will be helpful to generate passwords with random and fixed length strings. 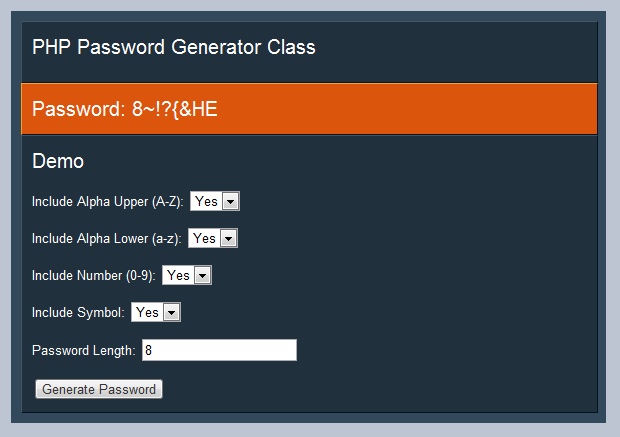 This is very useful class for programmer to create a randomly generated password for there blogs and applications.